Sydney artist/producer Tashka first came to public attention with her first feature vocal on Donatachi’s future garage break-out single Gold. Soon after, she followed up with her self produced single Taken. helping her land support slots for artists such as Nicole Millar, Oliver Tank, Yeo, and Kate Martin. Tashka draws inspiration from architecture, politics, self-discovery and physical reactions to sonic texture. After studying overseas at Berkley College Of Music, and being introduced to production, she began to search for her own identity not only as a singer but as a producer too. With a childhood spent playing piano and singing, production became a musical playground of possibilities. 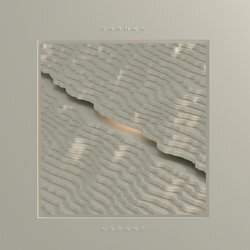 “Vacant” is an exploration of two people finding themselves at the end of a relationship that has been fought for. Featuring elements of dance and house, the vulnerable track discusses the notion of love and loss. This eclectic track showcases Tashka in a new light, demonstrating to her audiences intense personal themes of emotion.